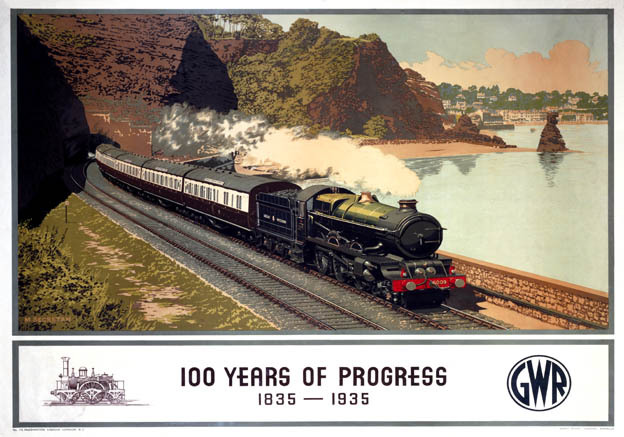 Poster produced for Great Western Railway to mark the centenary of the Great Western. Locomotive King Charles II with the Cornish Riviera Express emerging from tunnel. 1935. Artwork by Murray Secretan.